Transforming Trade Shows, Marketing Activations, Pop-Up Shops, Fundraisers, and More. With the rise of virtual reality’s role across all industries in 2018, its been declared by many marketing experts that VR marketing will continue to be a major trend throughout 2019 and beyond. Augmented reality is also predicted to make some major waves in 2019 and beyond due to it’s captivating and versatile nature. Augmented reality marketing has been on the rise globally since augmented reality became popular with the public via apps like Snapchat, Pokemon Go, and Instagram. Since it’s debut into the public eye, brands everywhere have taken the technology and found endless creative ways to implement augmented reality in ad campaigns, events, and even in business pitches. Creating engaging experiences is the key to hitting the two main goals of any marketing event: gaining traffic, and retaining traffic. Implementing augmented reality at a launch, exposition appearance, fundraiser, or marketing activation, in addition to virtual reality or as a stand-alone attraction is a great way to bring in foot traffic, entertain guests, display a product, illustrate a pitch, tell a brand’s story, and more. 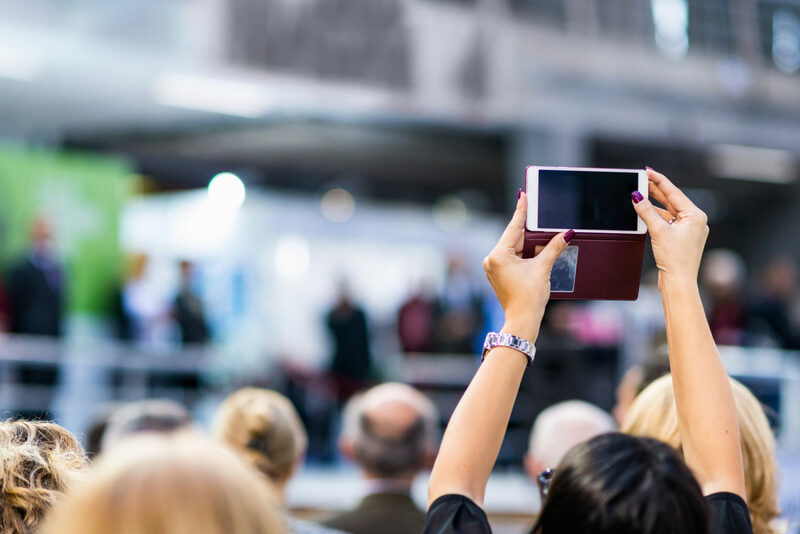 The key to making augmented reality work for your brand’s next marketing event is finding a way to center guests and attendees in the middle of your story. Utilize augmented reality’s immersive and interactive nature to bring people to your booth and have them stay and interact with the technology seamlessly. Transhuman Collective created a fully immersive augmented reality booth to showcase Mumbai in a playful and interactive way for both the guests and the onlookers at one of Mumbai’s largest property expositions. Brands can also use augmented reality to showcase a product in a new innovative way by creating a conference or exposition booth with interactive parts where guests can discover the different pieces transform right before their eyes into fully visible augmented reality replicas. This simple interactive element takes the average display to the next level and will keep passer-bys curious. Augmented reality is also a great aid in immersive storytelling and can take the classic business pitch in front of a crowd in an auditorium and transform the experience into an engaging presentation for all. Photo Booths are a classic attention grabber for any event and a personalized or custom branded photobooth at a marketing event can make all the difference. Now with the addition of augmented reality, there have been a series of new and exciting ways to transform the classic event photobooth. The Magic Mirror photo booth is a simple piece of interactive decor that can blend into any event decor as a mirror but double as an interactive photo booth. Using augmented reality body tracking and touch screen technology, guests can edit their snapshots with stickers, doodles, captions, and effects. Have guests step into an augmented reality photo booth on the big screen like Castrol Live’s augmented reality photo booth. Augmented reality applications are not only a widely accessible way for guests to interact with your brand at an event but the application can serve it’s purpose long after the marketing event is over. A successful augmented reality application like Angry Orchard’s Mix Pack is a great example of an application that provides value to the consumer while also keeping the consumer engaged with a brand and a product line. Creating and introducing an augmented reality application like Angry Orchard’s at a tradeshow, exposition, or product launch is a simple way to maximize exposure and engagement with a consumer base. 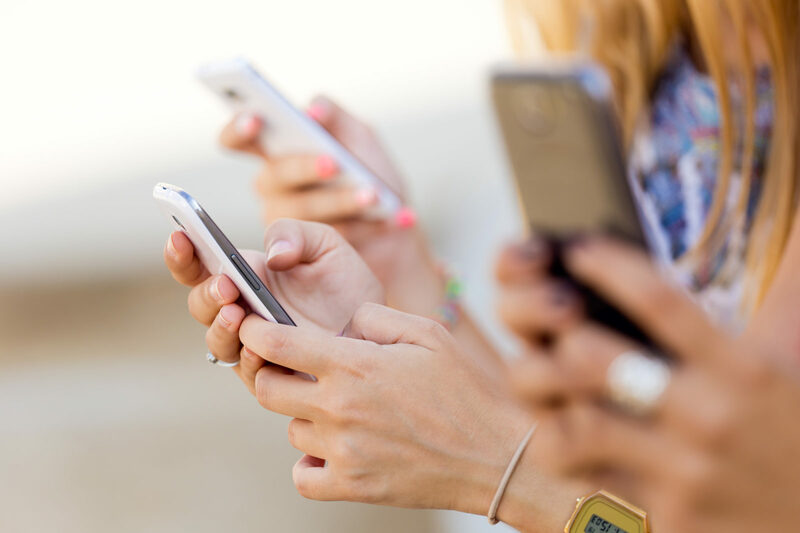 In addition to introducing an augmented application for a brand or product, another way to create a personalized touch at any marketing event is to create a branded geo-filter or smart filter for Snapchat. Custom Snapchat filters and geo-filters have been a great way for guests to take photos of the event, snap a selfie, share memories, as well as spread brand awareness long after the event is over. Creating an engaging marketing event presence can be accomplished in a multitude of ways. Augmented reality presents a versatile, immersive, and user-friendly medium for creators and brands to connect with consumers. Virtual reality, a similar medium, presents similar advantages as well as the ability to take the attendee and transport them to a controlled presentation. 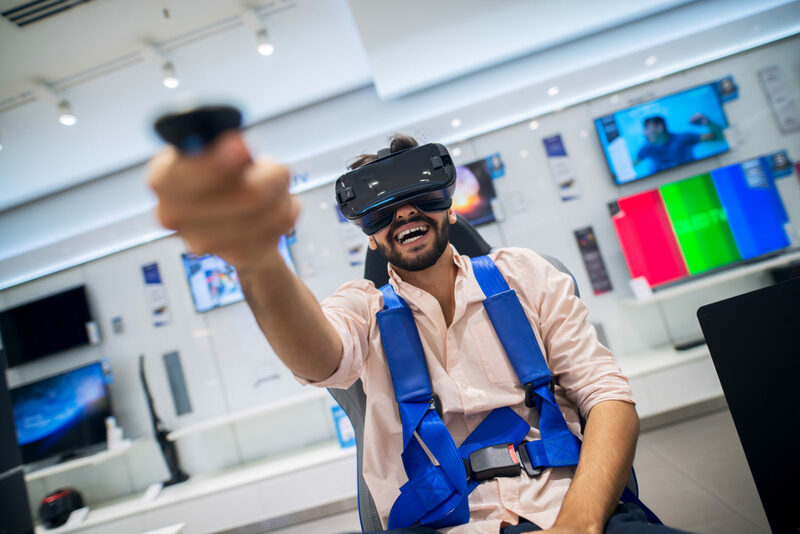 Virtual reality at a marketing event can take many forms, whether it be a virtual inventory of product, a fully immersive story about a brand or a brand’s mission, adding a virtual reality component to any marketing activation will further engagement. Virtual and Augmented realities are mediums that are complementary to one another and both present strengths in creating and boosting engagement at events. To learn more on incorporating virtual reality at your next marketing event check out our article.